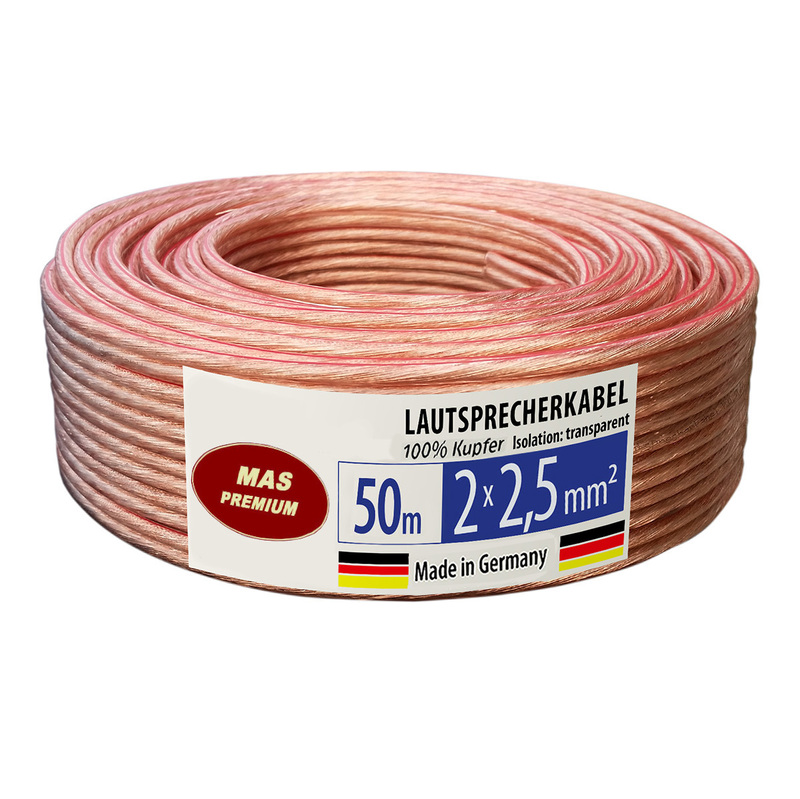 50m 2x2,5mm² speaker cable pure copper Transparent. Country of origin: Germany, Made in Germany. 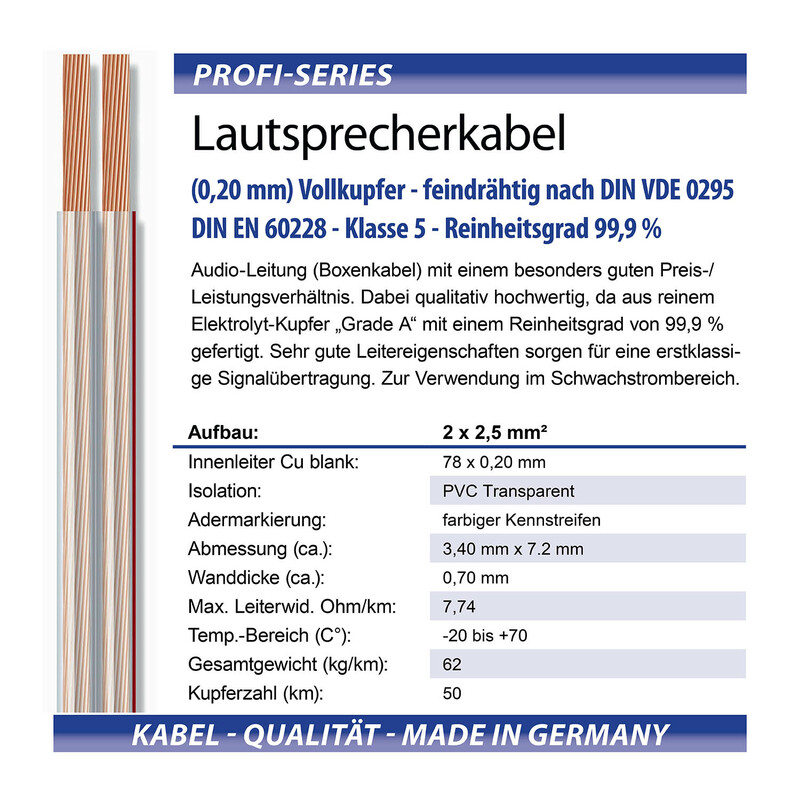 OFC cable 2x2.5mm²: Transparent insulation for a chic techno look, on 50 meter roll. Especially light and flexible, therefore excellent to lay. Proven premium quality for excellent sound.